in the MadiSUN Group Purchase Program. Wisconsin’s solar industry employs 2,813 workers according to the Census, across installation, manufacturing, sales and distribution, project development, and related sector employment. The Census reported 45% growth in Wisconsin solar over 2015 numbers (1,941 jobs), after showing little growth between 2014 and 2015. Nationally, the industry saw 25% growth with over 260,000 Americans now working in the solar sector, up from 208,859 last year, and comprising the fourth consecutive year with more than 20% growth. Wisconsin’s rankings amongst all states were largely unchanged. 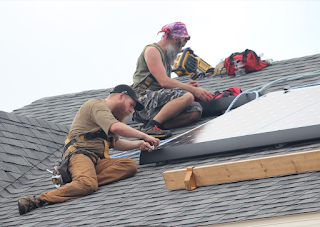 Wisconsin placed 26th nationally for both the number of solar jobs in the state (same as 2015), and 26th nationally in solar jobs per capita (up one spot from 27th last year). 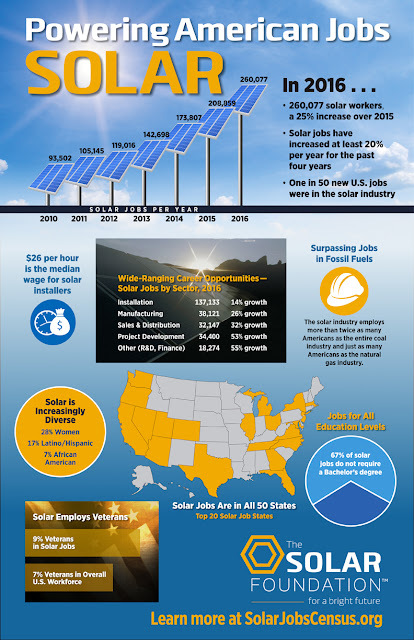 The full report can be found at www.SolarJobsCensus.org, where national and state-by-state reports are located. “Solar energy is a growth industry and it is outstanding to see Wisconsin-based businesses adding jobs to meet the demand for increased solar installations in Wisconsin and throughout the country,” said Tyler Huebner, RENEW Wisconsin’s Executive Director. “But Wisconsin’s solar energy job growth potential has just begun to be tapped. Solar makes up less than 1% of Wisconsin’s electricity production. This growth industry could be propelled by improved policies to unlock its true potential, including fair compensation for grid-connected solar, clarity on third-party financing opportunities, and simplified procedures for connecting solar to the local utility grid,” concluded Huebner.